Olivia Chow is Former Member of Parliament and Toronto City Councillor. 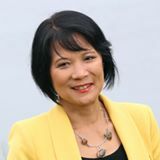 In a political career that began in 1985, Olivia Chow has been one of Toronto’s most effective leaders – on the Board of Education, at Toronto City Hall, in Parliament, and on the national stage. Olivia Chow was born in Hong Kong, grew up in Toronto, studied philosophy and art. She worked as a college professor, an English as a Second Language (ESL) teacher, counselor for new immigrants and a sculptor. François Crépeau is the Hans & Tamar Oppenheimer Professor in Public International Law at the Faculty of Law of McGill University. In 2011, he was appointed United Nations Special Rapporteur on the Human Rights of Migrants. He is a Fellow of the Royal Society of Canada since 2012. The focus of his current research includes migration control mechanisms, the rights of foreigners, the conceptualization of security as it applies to migrants, and the Rule of Law in the face of globalization. Mario Dion is the Chairperson of the Immigration and Refugee Board of Canada. He has a strong legal background and significant experience in strategic and operational management. He has served in various senior roles in the public service, including as Associate Deputy Minister of Justice, Executive Director and Deputy Head of the Office of Indian Residential Schools Resolution of Canada, and as Chair of the National Parole Board. He was appointed to the position of Integrity Commissioner in December 2011, having served as Interim Commissioner since December 2010. The Honourable Anne L. Mactavish, Justice of the Federal Court was appointed President of the Human Rights Tribunal Panel in 1995, and Chairperson of the Canadian Human Rights Tribunal in 1998. Mactavish was also President of the County of Carleton Law Association. She was appointed Judge of the Federal Court and Member ex officio of the Federal Court of Appeal on November 19, 2003. She was appointed as a Judge of the Court Martial Appeal Court of Canada on March 23, 2004.